Many states have eased CDL restrictions for military drivers, with the two-fold benefit of helping veterans get jobs and alleviating the driver shortage. 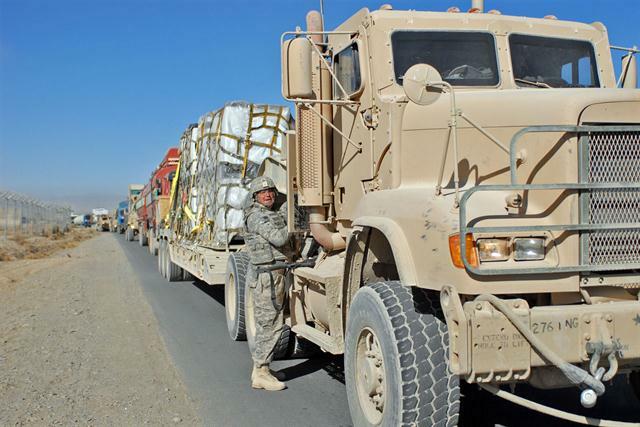 The Army National Guard’s “Drive the Guard” program is putting soldiers behind the wheel while they are in uniform and helping them to qualify for fulltime civilian employment as a truck driver. In the past two years, 34 states have adopted laws that allow motor vehicle departments to waive the CDL skills test for qualified military veterans, the Obama administration says in a new report. Larkin, citing an analysis by Gordon Klemp, president of the National Transportation Institute, says the problem is partly demographic: Only 17% of drivers and owner-operators are 34 years old or younger. Truck driving is becoming a more and more popular career for people seeking job security. 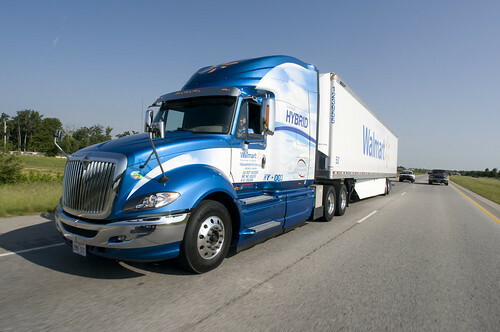 The truck driving industry is always looking for truck drivers, the pay is good, and there is security in this career. Becoming a truck driver is also a great career for people who do not want to sit behind a desk all day. This article will outline how to start a career as a truck driver. The first step to starting a career as a truck driver is to go to truck driving school. You can find truck driving schools by performing an internet search for “truck driving schools” followed by your city and state. Truck driving school will last between 6-7 weeks Truck driving school costs several thousand dollars to attend(many truck driving schools offer financial aid however). The second step to starting a career as a truck driver is to apply to the truck driving schools job placement program once you graduate. Typically these job placement programs at truck driving schools have a high success rate in placing graduates, as there is a demand for truck drivers to fill positions. The third step to starting a career as a truck driver is to put your resume on online employment web sites. These web sites can be good places for truck drivers to find careers, and having more than one job offer on the table will give you power in bargaining with a potential employer. Is Trucking the Job for You? In a recession most Americans are happy to get a job, but the trucking industry is an exception to this rule. Today there are around 200,000 job openings in the United States for long haul truck drivers, according to David Heller, director of safety and policy for the Truckload Carriers Association. And the U.S. Bureau of Labor Statistics predicts a 20 percent increase in trucking jobs between 2010 and 2020. Truckers also make above the average of median wage for all jobs. So if there are so many jobs with no sign of the industry slowing down, why aren’t people taking on truck driving jobs? There’s no one answer, but there are some obstacles that could deter prospective truck drivers from taking the leap. Here are some possible obstacles and ways to overcome them. If you want to get into the trucking industry, you need to save up around $6000 in order to complete the training it takes to become a commercial driver. Truck drivers have to go through extensive training and testing. “Drivers are put under intense scrutiny before they get into the industry, and for good reason,” argues Brett Aquilla, trucker and creator of the blog, TruckingTruth. “It’s incredibly risky putting someone behind the wheel of an 80,000 pound truck with your company’s name on it.” If you want to become a trucker, you’ll need to do some saving first, but once you’ve done it, the road is fast and you’re pretty much assured a job at the end of it. …More at Is Trucking the Job for You? ~ Career Online Blog! If you currently work for or have worked at a trucking company that hires ex-felons please recommend that trucking company in the comments section at the bottom of the page so other drivers can get on. Thanks. Before learning about getting a trucking job read about what companies, and the industry are looking for in the person they will hire as a new driver. This will help you in your interview by showing you understand what hiring personnel are looking for. Trucking jobs for ex-felons may be a little harder to find but they are out there. I called a few companies just to get an idea of how much variation there was in how trucking companies dealt with ex-felons. I was happy to find out that there was a variety of responses. This means there is hope for getting a trucking job. Having 2 felonies will definitely present an even harder challenge and for some companies, it was a no go automatically. Other trucking companies still said it depended on what the charges were and how long ago. The companies I provide are ok with you having 2 felonies. Schneider even insisted on not responding on whether 2 felonies would automatically disqualify you from becoming a driver, they said they could not answer without knowing the individual circumstances around the felony. This is a good sign, it means that there is still a good chance.